Stamp Active will, once again, be running the Kids Corner at Stampex in Gallery bays 14 and 15, sponsored by the Philatelic Traders’ Society. The theme of the displays and activities will be “BRITAIN AT WAR” including some exciting surprises. There will be free goodie bags, the Lucky Dip and “Spin A Prize”. Entries in the Stamp Active Competition and British Youth Stamp Championships will be on display. The free points auction will take place on Saturday at 2pm hosted by NPS President, Michael Thompson. Come along and share in the fun. 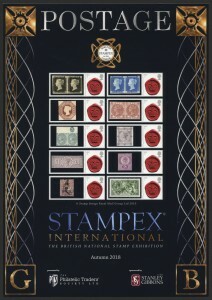 Stampex is on from 12th to 15th September at the Business Design Centre, Islington. The nearest tube is Angel.